A family of roofers serving the community for over 28 years. Same phone number, same DBA - since 1988! By Noel And Janis L.
"Very nice and knowledgeable gentlemen. Estimate was fair..."
"Inspection of my roof was on time and very professional. He..."
By Chancey And Jean W.
"I am extremely impressed with this young man and his..."
Quality roofing replacement services for residents throughout The Greater Houston Area! Ever wondered why we do what we do? Watch this video to see what Ernie Smith & Sons Roofing is all about! If you live in The Greater Houston Area, chances are that sooner or later, your roof is going to suffer some damage. Regardless of if a major storm rips shingles off your home, or if regular wear and tear leads to leaks or wood rot, all Texas homeowners eventually have to do what is best for their property and choose to repair or replace their roofs. When this time comes, it's essential to rely on a roofing contractor you can trust. In business since 1988, Ernie Smith & Sons Roofing is the local roofing company you need to protect your home's exterior. After so many years and a lot of hard work, we’ve built a solid reputation in the area, and as we continue to grow, we are committed to upholding these standards. We are a second-generation family company who values best the happiness of our customers, and we know we won't let you down! To see how our roof repair and roof replacement services can benefit you, contact us today to schedule a Free RoofAssess360 Inspection! We serve homeowners in Houston, Pasadena, Pearland and throughout the surrounding areas. The Texas Gulf Coast is known for its sudden inclement weather and rough storms. These storms may end up costing homeowners greatly if not properly attended to. This is why choosing a local contractor who not only knows the area but can also get to you quickly is key. 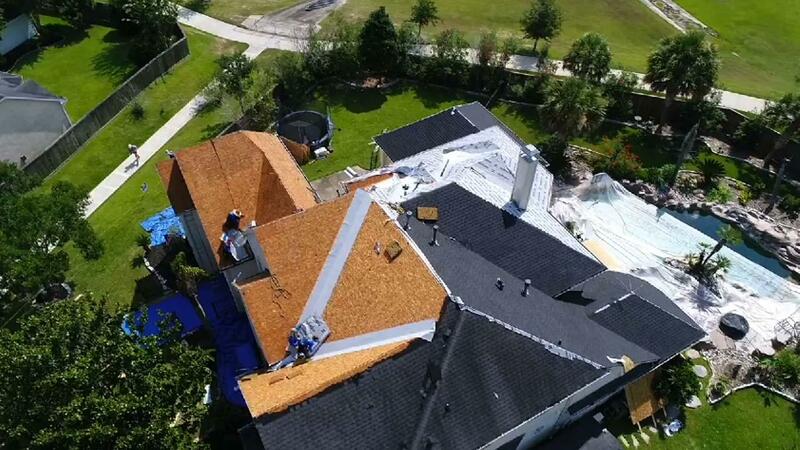 After more than two decades meeting and exceeding high-wind specifications and guidelines for the Texas Department of Insurance, storm-resistant roof replacement, emergency roofing services, and insurance claim assistance are all second nature to Ernie Smith & Sons Roofing. In fact, it's our specialty! Whether you're looking for roof repairs or a complete roof replacement, Ernie Smith & Sons Roofing utilizes industry-leading techniques that have been proven to work on local homes. We’re experts with all types of roofing materials and installation, including asphalt shingles, metal roofing, clay and concrete tile, and commercial and flat roofing. The longer you wait to restore your roof, the bigger headache you'll have down the line. We know that no one likes spending money - especially on roofing - but it's so much easier with a company you or your neighbors know. We consider our customers to be family, and we won't stop until your roofing needs are completely resolved. Ready to get started on roof repair or roof replacement? Call us at 1-281-534-3521 or contact us online to schedule a Free RoofAssess360 Inspection today! We offer our services to home and business owners in Houston, Pasadena, Pearland and cities nearby.